Personalized Cutting Boards Just $18.95! Down From $45! Shipped! You are here: Home / Great Deals / Christmas Deals / Personalized Cutting Boards Just $18.95! Down From $45! Shipped! Don’t miss this deal! 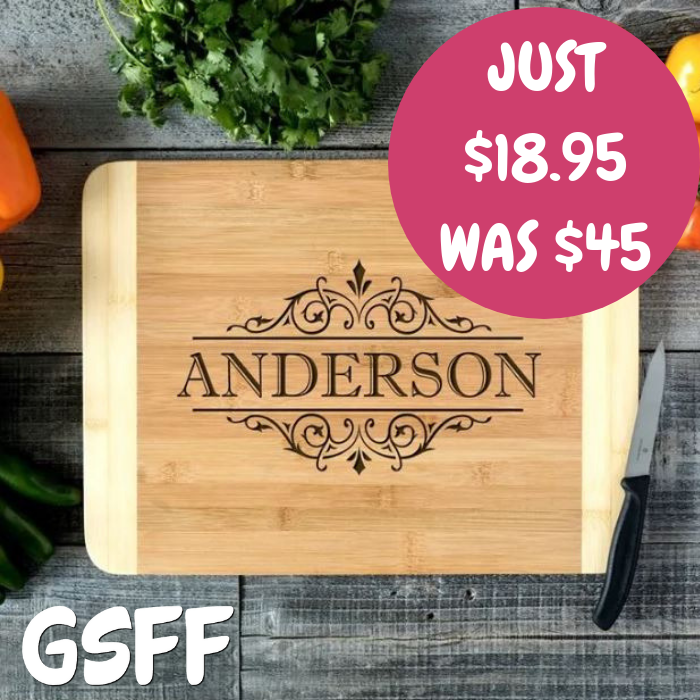 Head over to Jane to score this Personalized Family Cutting Boards for just $18.95 down from $44.99 PLUS FREE shipping! These cutting boards are ECO-Friendly making it a highly renewable resource. The high-grade wood cutting boards are precision cut and hand sanded. Whether you’re looking to add to your kitchen home decor, give a gift to a significant other or friend, or just looking for something creative, our personalized cutting boards and other products make an unforgettable gift!